A flooded farm stands next to the Lumber River on Monday in this aerial photograph taken after Hurricane Florence hit Lumberton, N.C.
Before the hurricane, many were worried about thousands of open-air ponds where farmers store manure from their hogs, allowing the waste to decompose. According to the North Carolina Department of Environmental Quality, as of noon on Sept. 18, the walls on four of these "lagoons" had failed, allowing manure to escape. Nine additional lagoons had been inundated by flooding from nearby streams, and 13 had received so much rainfall that they had overflowed their banks. Several dozen more were at or near the limit of what they can hold. These lagoons have already been the focus of intense political controversy in North Carolina. Some residents who live near them have filed lawsuits against a large pork processor, accusing the company of creating a public nuisance and environmental hazard, and won million-dollar judgments. 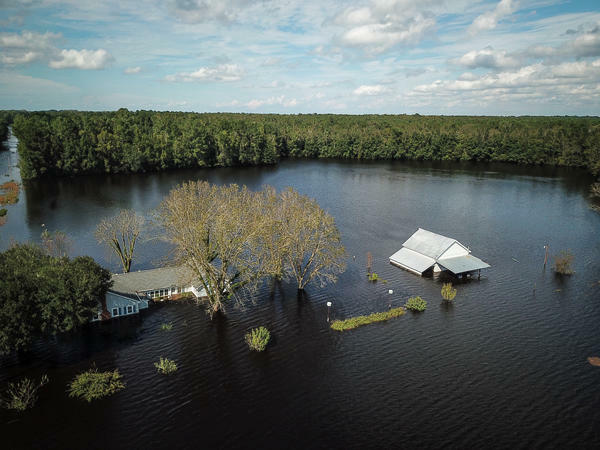 After Hurricane Floyd, in 1999, the state of North Carolina bought out many hog farmers and permanently shut down hundreds of manure lagoons that lay within the flood plains of rivers. A spokesperson for the state said that officials do not yet have any information on the number of hogs that may have been trapped by floodwaters. During Hurricane Floyd, thousands of hogs drowned. State officials have not yet carried out their own inspections of hog farms, and they're relying on farmers to report any damage. Some farms still may not have power or phone service. Sanderson Farms, a poultry company with big operations in North Carolina, says that 60 of its 880 production chicken houses in the state have flooded. As a result, 1.7 million birds died, out of a total population of about 20 million. In addition, four out of 92 "breeder" houses flooded. These crucial farms are where mature chickens lay the eggs from which the baby chicks hatch. According to the company, an additional 30 chicken houses holding 6 million birds near the town of Lumberton have been cut off by floodwaters, and those birds could die if the company can't resupply them with feed. North Carolina's farms grow about half of the country's sweet potatoes, and Florence hit right at the start of harvest. "There's no way I can tell you" how much damage the flooding will cause, says Regan Boyette, with Boyette Brothers Produce in Wilson, N.C. It depends on how quickly farmers can get into the fields to resume harvesting. If sweet potatoes sit in waterlogged fields for too long, they can rot. 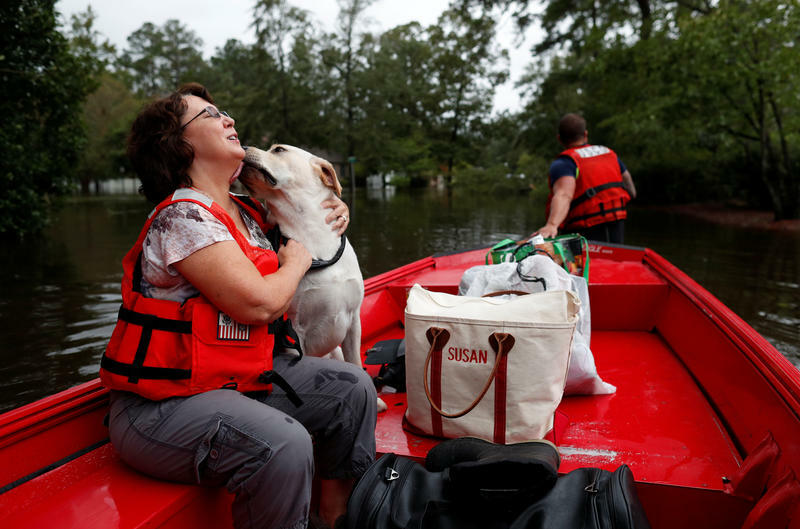 In North Carolina, most of the rain has ended, but flooding continues. Much of the area where Florence dumped the most rainfall is covered with farms - chicken farms, sweet potato farms, hog farms - and the damage to those farms is just starting to come into focus. Joining us to talk more is NPR's Dan Charles. Welcome to the studio. DAN CHARLES, BYLINE: Good to be here. CORNISH: So before Florence hit, you reported a lot about people who were worried about what would happen to the ponds that are on hog farms because they're filled with manure. What have you learned so far? CHARLES: Well, the numbers are just starting to come in reported from farmers. And they're coming to the North Carolina Department of Environmental Quality. The latest numbers today are that four of those lagoons - the walls have failed. The contents have escaped into nearby rivers. 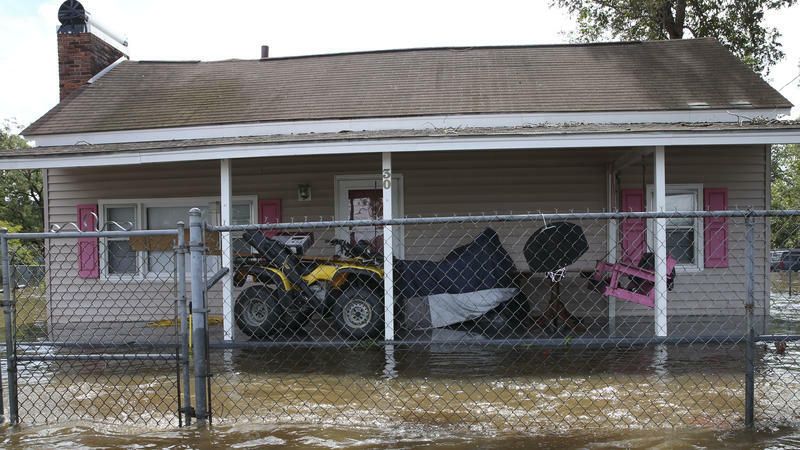 Nine more were just flooded, inundated by rising floodwaters. Another dozen or so, they just got so much rain that they overflowed. Now, the North Carolina Pork Council - it's an industry group - they say this is not a widespread problem. They say this is isolated. Numbers of lagoons and the majority are fine. But those numbers are still going to go up. They're double what they were yesterday. And a bunch of environmental groups have been flying overhead, looking down. And they say from what they see, that number certainly will grow. CORNISH: What about the animals and livestock? CHARLES: There was an effort at least with the hogs to get them out of any low-lying houses. We have not yet heard what has happened to the hogs. Years ago, Hurricane Floyd - there were thousands of hogs that died in a flood like this. But on the other side, you know, there's not just hog farms. There's chicken farms. And a big poultry producer, Sanderson Farms - they reported last evening that 60 chicken houses were flooded. 1.7 million birds were killed. Another whole bunch of farms has been cut off by floodwaters, and so they can't get feed trucks into those houses. So, you know, that story's not yet over either. CORNISH: In the meantime, what are people thinking that the long-term effects will be? CHARLES: Well, obviously for the farmers whose land was flooded and whose buildings were destroyed this is, you know, a catastrophe. For a company like Sanderson Farms it's going to be a hit, but they will survive. I don't think consumers will see that much of an impact because it's a small part of, you know, the country's production. But think about sweet potatoes. North Carolina grows half of the country's sweet potatoes. Harvest was just beginning. They can't get back into the fields, but they need to because if sweet potatoes stay in a waterlogged field for too long, they could rot, and that might have an impact on your Thanksgiving dinner. CHARLES: Thank you. Transcript provided by NPR, Copyright NPR. Florence is now a tropical depression, but the storm’s danger is far from over. The port city of Wilmington, North Carolina, was cut off Monday because of rising floodwaters. 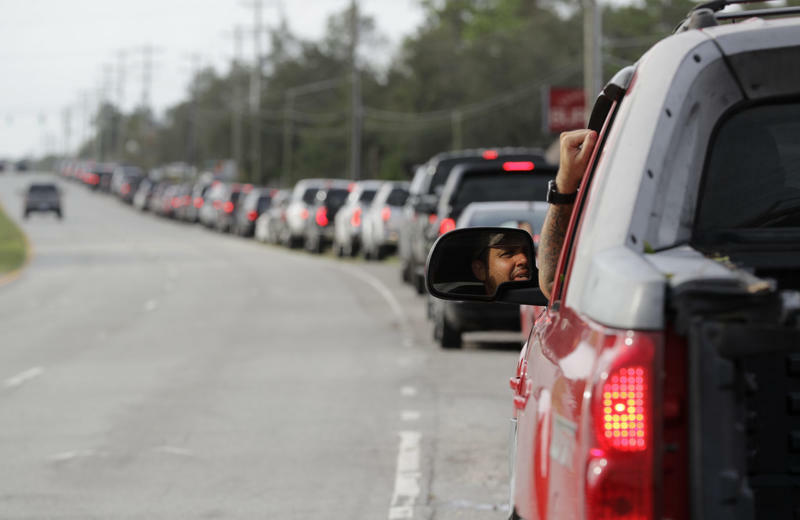 Here & Now’s Jeremy Hobson heard from Wilmington resident Leslie Hudson as she was waiting in line for gas.